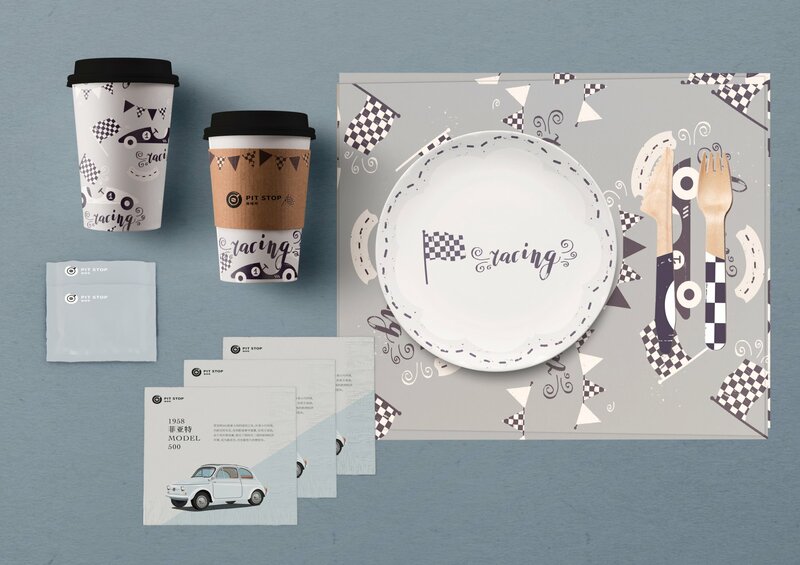 In collaboration with the SAM we developed several branded pieces for the store front café. Keeping with the concept of cars, we designed and produced a series of items that would be used inside the shop. Café logo, coffee cups, napkins, ice cream cups, placemats, cutlery and plating were some of the items created.